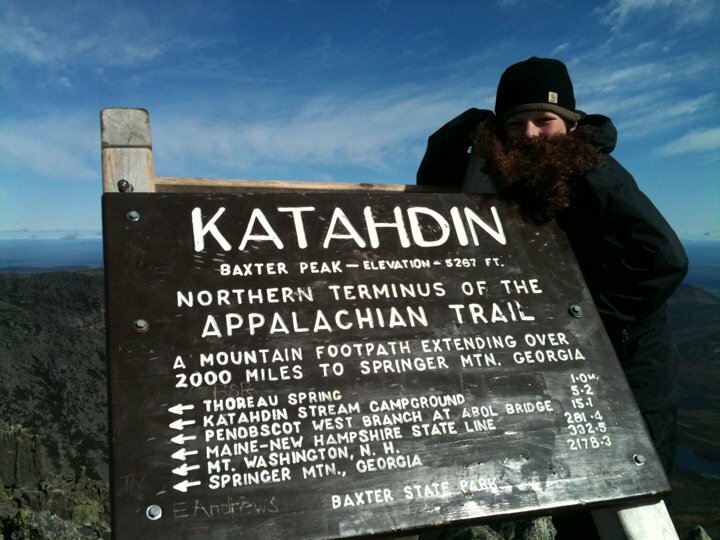 “I thought it would be fun.” That was Owen Borek’s first reaction to hearing his mother’s plan to hike the Appalachian Trail, all 2,170-some miles of it, over one spring-summer-fall. “I liked hiking,” says the 10-year-old from Durham, N.H. 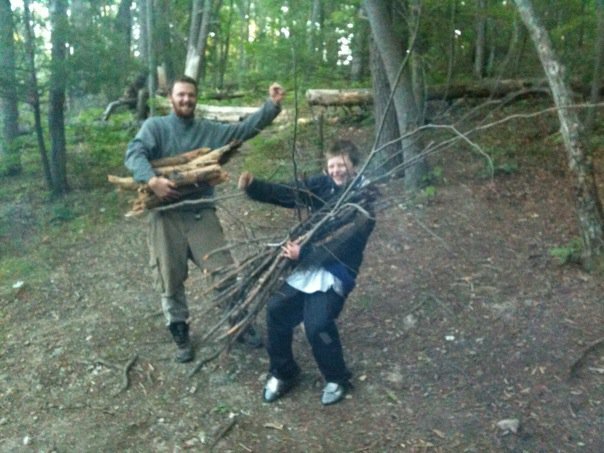 He knew about the outdoors: He’d hiked a few mountains and camped out several times. And he was strong, having played on several sports teams. Owen and his mother were already together most of the day, anyway, because he was home-schooled. Along the way, Owen learned the difference that vertical gain made in the distance they could cover. On the second section of the hike, when he and his mother hiked south from Pennsylvania to Georgia, they began to cover 20 miles and more on the flats. “Virginia was a lot of flat,” Owen says. Then they hit the Smoky Mountains: “One day, all we did was 7 miles of up.” Even after months on the trail, steep meant slow: In all of the White Mountains, Owen and his mother managed only one 20-mile day. Other strangers remained nameless but nonetheless reached out to help the mother-and-son hikers. Owen remembers one couple he and his mother met going the other way on the trail just out of the Smokies. They needed to get into town for a resupply but didn’t want to hitchhike. The couple gave a boy they knew only as “Scooter” and a woman called “4:13” the keys to their car, a brand new Lexus. Owen and his mother walked to the trailhead, found the car, and drove to town for their errands. Now that he’s back home, Owen notices different ways that his weeks on the trail are making a difference. He returned home too late for fall soccer, but hockey started a couple of weeks ago. “It’s easier to skate now,” he says. He also see that he can spend more time on the ice, and skate harder longer, before his thighs start to burn. He’s had to readjust, a little, to the normal dynamics of family life, including doing school assignments at a desk. 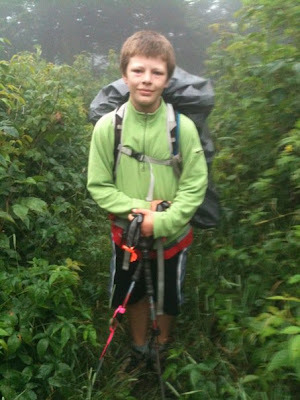 Owen is writing a book about his adventure on the Appalachian Trail. He plans to go over the geography of each section. 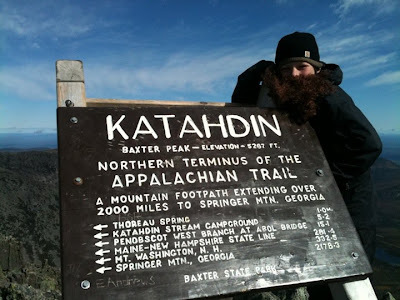 He’ll describe climbing Katahdin, Mt. Washington, his friendship with Etch-a-Sketch, who turns out to live only a short distance away from Owen’s family. The three thru-hikers plan to get together soon at a local pizza place that they “drooled about” while they were eating Ramen noodles on the trail. What’s next? 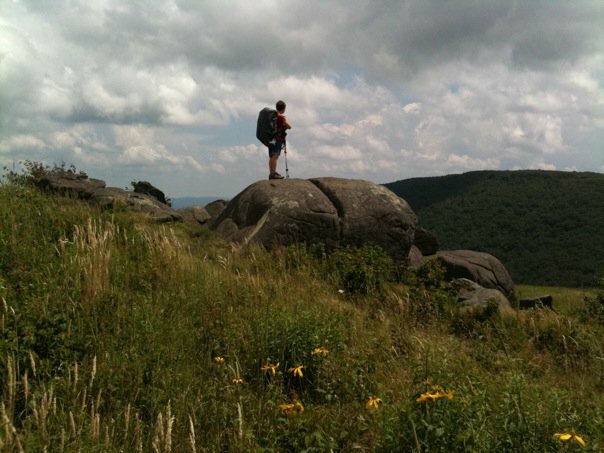 “We’re thinking of a long-distance biking trip,” Owen says — or he might come up with his own hiking route through the Shenandoahs. All photos by Cheryl Borek.